Lyon might be best known for its mouth-watering culinary scene, but I’d venture that the shopping here is equally outstanding. In fact, I find Lyon to be one of those rare cities that rivals even Paris in terms of shopping. Here’s why. 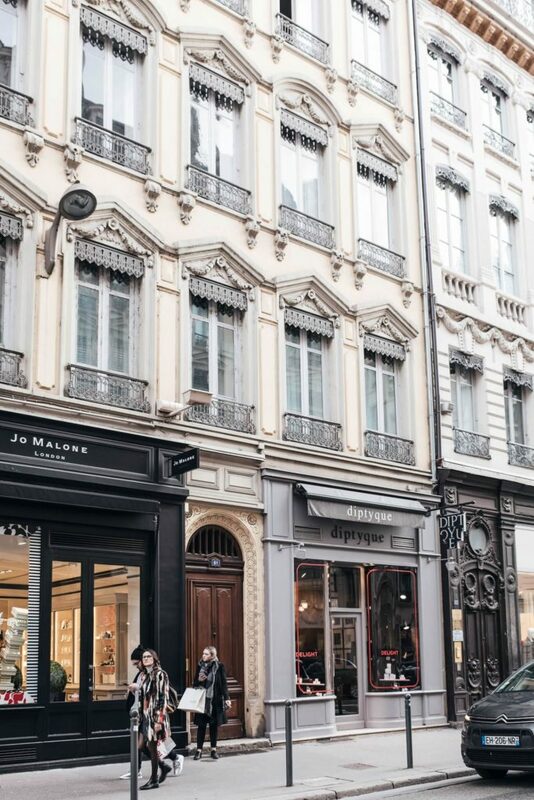 Lyon is the perfect size for pedestrian shoppers while still featuring an eclectic range of top-notch boutiques. Additionally, Lyon is free from the throngs of tourists that roam Europe’s other shopping capitals. Sounds great, right? Read on to discover how to cover all your shopping needs whether you’re in the market for high-end fashion or artisan souvenirs. 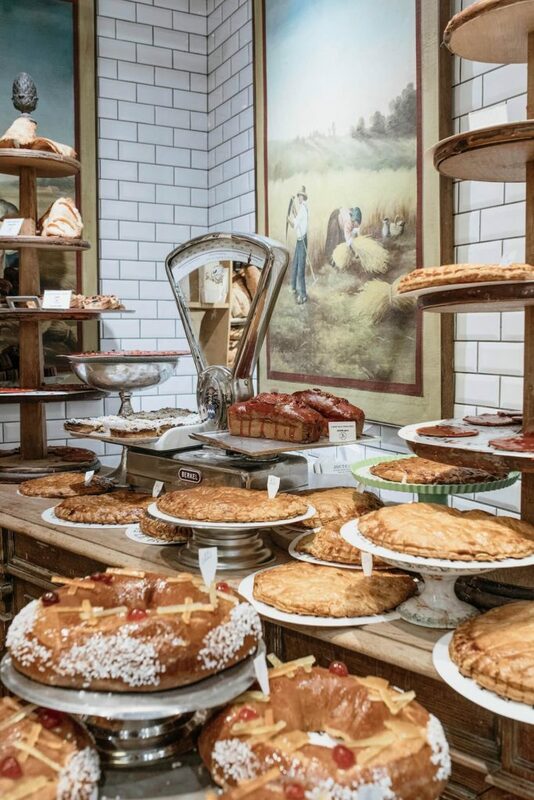 You’re virtually guaranteed to pick up something special in Lyon’s main shopping district, Presqu’ile. All photos by the author. Presqu’ile is Lyon’s main shopping district, with most commerce centred on the parallel rue Victor Hugo and rue de la République as well as the Place Bellecour. The area is located right at the centre of the peninsula in the middle of town. Here you’ll find the largest selection of stores anywhere in Lyon, ranging from well-known franchises to smaller independent shops. Jonak is one of my personal favourites, a gem of a shop selling the most gorgeous shoes. I simply couldn’t resist picking up a new pair of boots on the spot! If you’re not looking for anything in particular or just want to spend a few hours window shopping, Presqu’ile is the place to be. 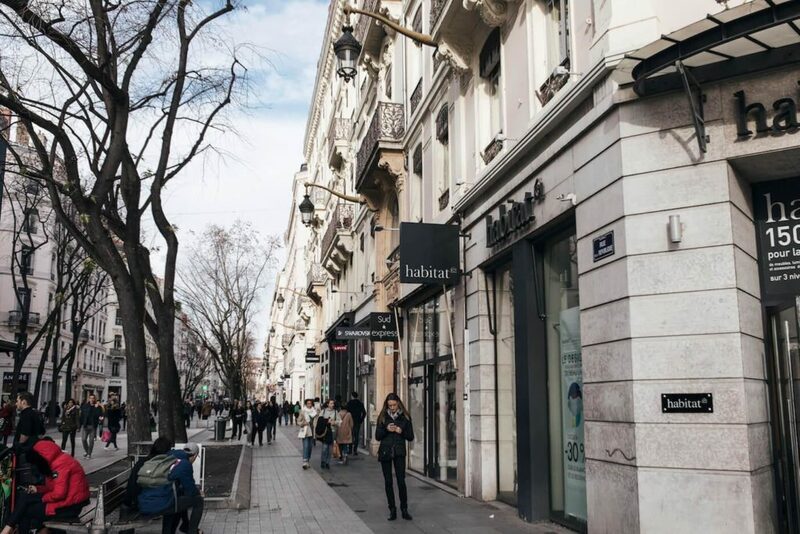 Have a stroll along rue Victor Hugo, rue de la République and Place Bellecour. On the prowl for something special for your home? Then Rue Auguste Comte is where it’s at. If you’re looking for design, home or concept stores (or just like to browse for inspiration) you’re in luck: There is a whole street full of beautiful shops for you to pop in and out of. 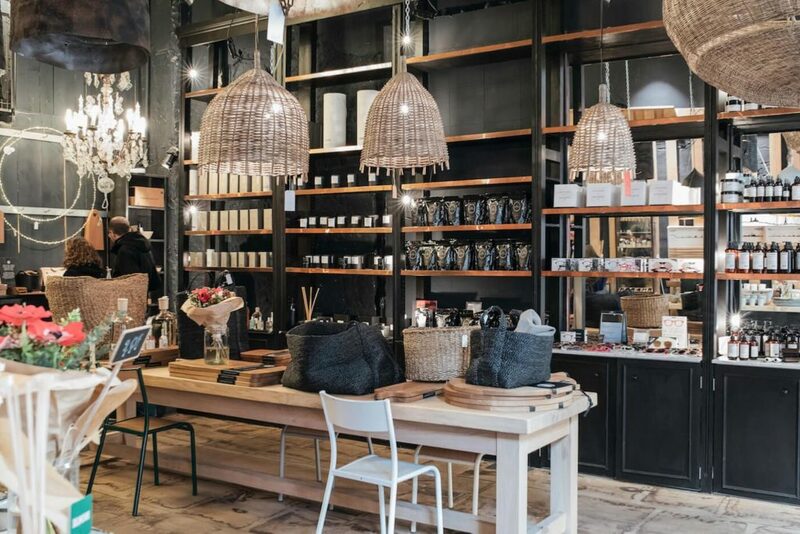 Rue Auguste Comte is home to a wide selection of these stores, peddling everything from authentically French interior design to Scandinavian handiwork. My personal favourite has to be Auguste et Cocotte, a welcoming shop overflowing with tempting trinkets that all wanted to come home with me. Find them all along Rue Auguste Comte. 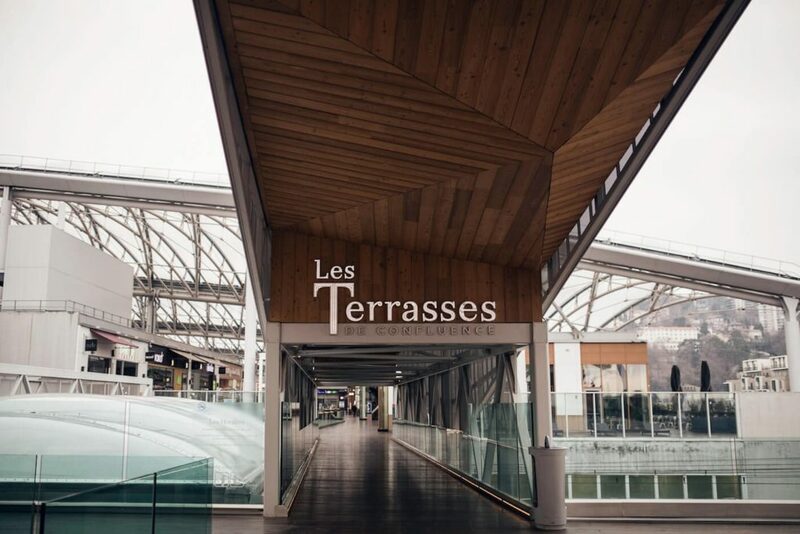 Head indoors at one of Lyon’s major shopping centres if the weather doesn’t agree with you. Sure, shopping centres might not be the most inspiring of places to do your shopping, but Lyon’s centres might just be a cut above the rest. At the very least, they are convenient and, let’s not forget, absolute godsends on rainy days. Two shopping centres I would definitely recommend are Confluence and La Part-Dieu. While both are large, Confluence is the smaller of the two. The shopping centre is located in the south of the city, but still within the main area of Lyon. Confluence provides a very modern shopping experience and even has a charming open top floor loaded with restaurants and cafes. However, if you’re in a hurry, nothing beats La Part-Dieu on account of its prime location. The mall is literally situated right next to one of the largest train stations in Lyon and it’s also linked to the airport line. This makes La Part-Dieu a perfect stop before your flight back home. Lyon’s got plenty of independent boutiques chuck full of unique wares. On the prowl for exciting items, you won’t find anywhere else? Then take a walk up north to old Lyon where the winding streets are dotted with tiny shops chuck full of unique goods. Among others, I recommend you swing by the Village of Creator: a small pedestrian street tucked away in the maze of old Lyon. The street is home to several stores, workshops and studios run by independent designers. Hunt for a vintage addition to your wardrobe at FripesKetchup. The area also holds a great many quirky vintage stores and small boutiques well worth a visit. One of my favourite vintage stores has got to be FripesKetchup. The clothes on display are eclectic, the staff are beyond friendly and the prices are very reasonable at that. 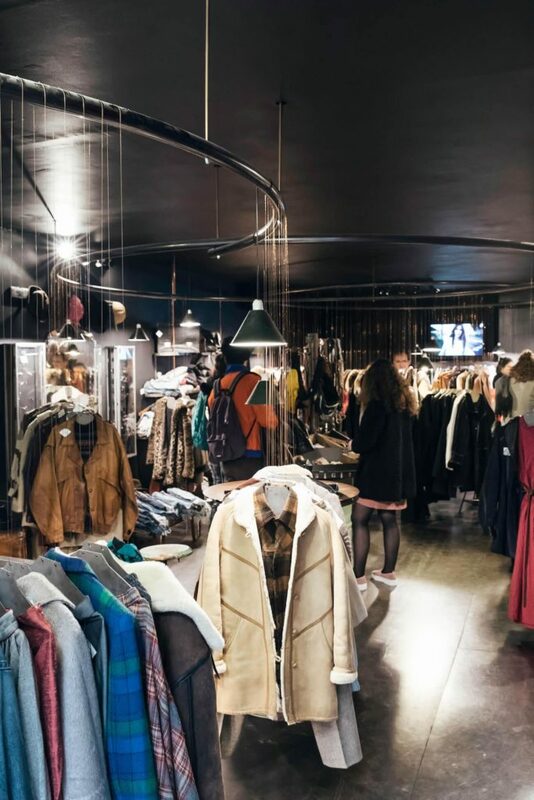 Just around the corner from FripesKetchup, you’ll find Blitz Bazar, which stocks not only vintage items but also loads of designer knick-knacks and clothing. The place even has a hair salon, making it a one-stop shop for a full make-over! Keep in mind, that Lyon’s smaller stores often have varying open hours, so be sure to check their hours online before you plan your shopping spree. Find the Village of Creators at Passage Thiaffait. Find FripesKetchup at 25 Rue Sergent Blandan. Find Blitz Bazar at 4 Rue Louis Vitet. Splurge at the local food markets. On Sundays, most of the shops in Lyon are closed (just like in the rest of France), making the city food markets your best bet for a bit of shopping. In fact, I found that browsing the different market stalls is a sublime way to unwind on a slow Sunday. The most popular market around is Les Halles de Lyon Paul Bocuse and let me tell you, this place is a foodies dream. Even while most of the city is still snoozing, you can find eager locals queuing up at their favourite stalls for some goodies to take home. I recommend going for breakfast or light treats at Les Halles. Shop for paintings, records and more along the banks of the Rhône. Next, head to the riverside. 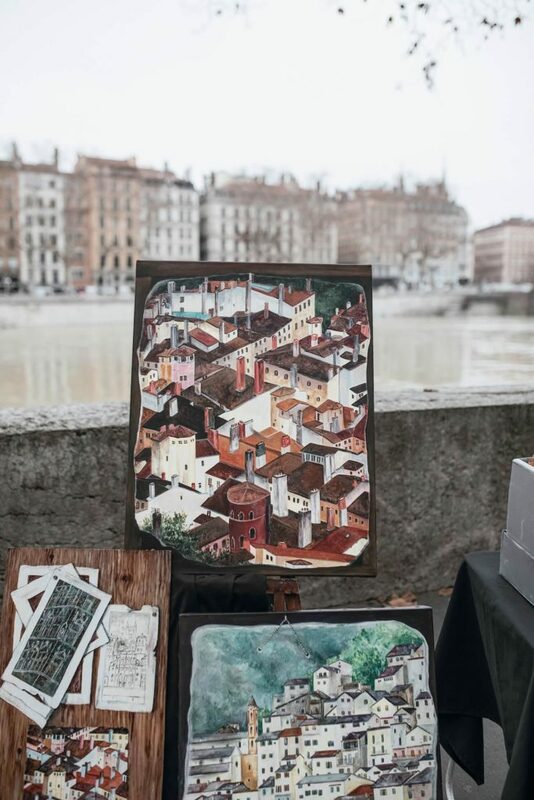 Both sides of the Rhône are lined with charming stalls selling second-hand books, records, handcrafted products, clothing, art and more. Find Les Halles de Lyon Paul Bocuse at 102 Cours Lafayette. Find the outdoor markets along the river Rhône.